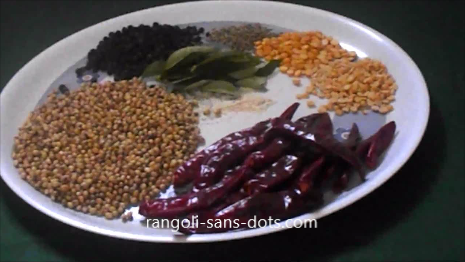 a) One using a kalash and decorating it with mango leaves, garlands etc. 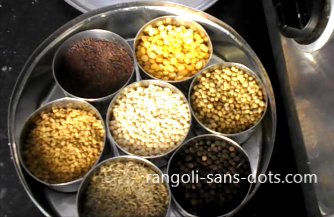 Take a tall plastic container and fill it with rice this will ensure stability due to the weight of the rice. 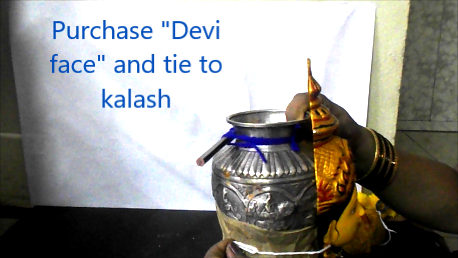 On the top place a silver or brass kalash we use in our homes. 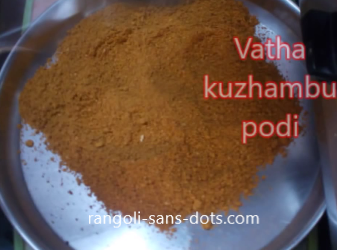 I have used the Ashtalakshmi kalasah. 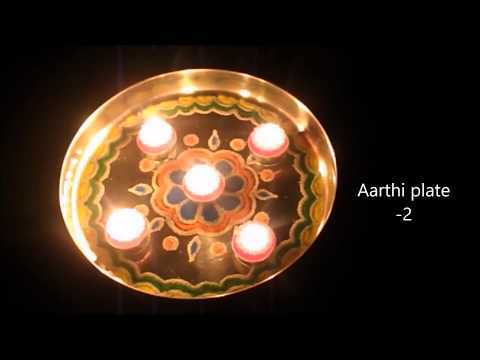 After all it is believed that Varalakshmi is Ashtalakshmi personified. Bind them both with a binding tape. 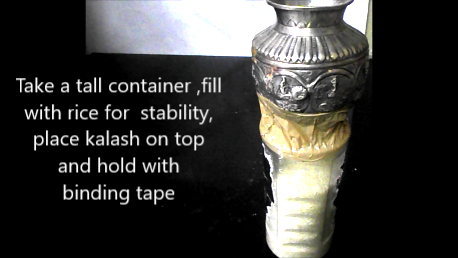 Let the tape do a few rounds so that they hold tight. 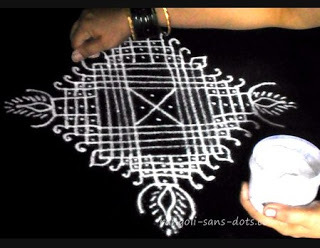 Take a blouse piece - silk blouse piece or silk cotton or any blouse piece with border is preferable because it gives a grand appearance to the idol. 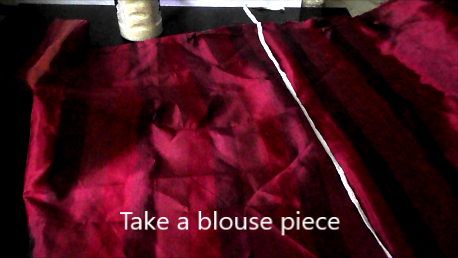 Place a thick thread across the blouse piece after spreading it out. Place the thread at the centre , fold the blouse bit and pin both edges so that the thread stays put. 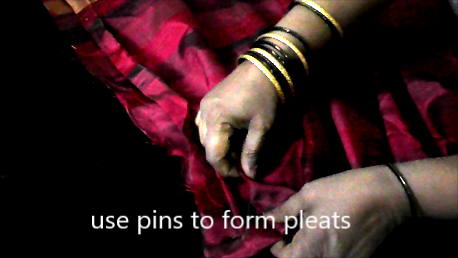 Now form pleats along the side of the thread by folding the cloth at regular intervals and fastening with pins. 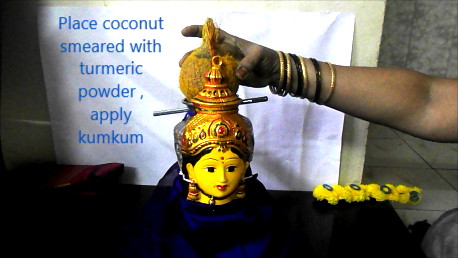 Purchase a Goddess Lakshmi's face from the shops - there are many types available in the market and tie the face to the kalash as shown in the next picture. 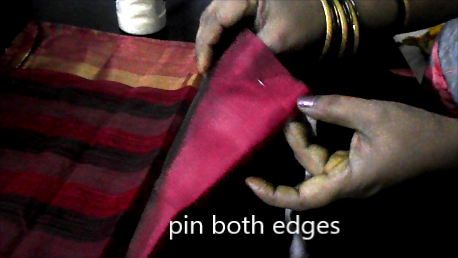 Pin pallu at both ends to the dress so that it holds together. 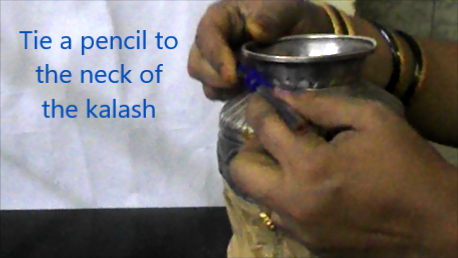 The pallu is supported by the pencil we already tied to the kalasam. Pallu is made from border that we can purchase from any shop selling sarees. Since it is a grand festival celebrated with lot of religious fervour seeking the blessings of Lakshmi for our family we can try to go for grand saree and pallu and they will not cost much. 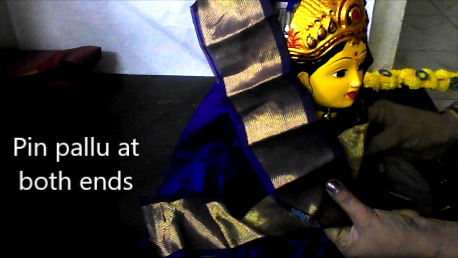 Ready made saree and pallu are also available we can make use of them also. 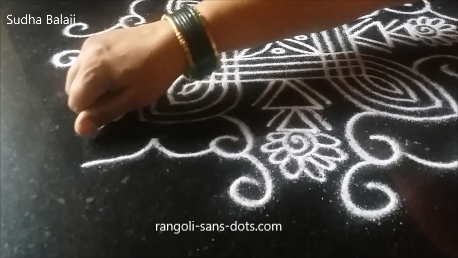 When we craft things ourselves how ever simple they may be , we get a lot of mental satisfaction and this is true particularly for festivals because we get involved a lot preparing and celebrating. 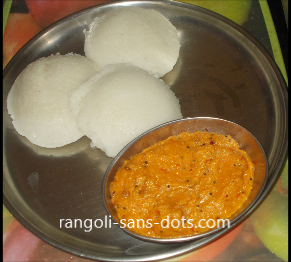 Many of us wait for the arrival of the festival season that starts in the month of Sravan. 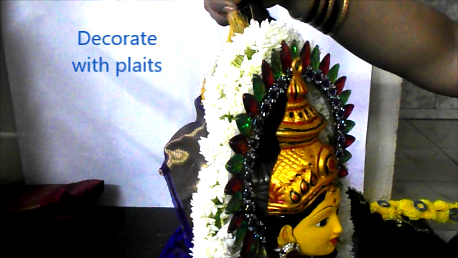 Decorating the idol with ear rings will enhance the beauty of the idol and divinity too. 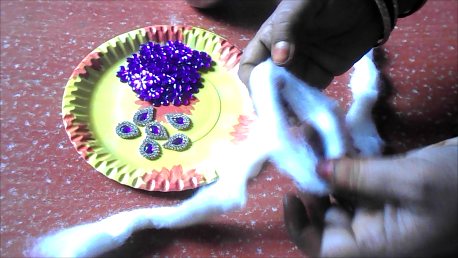 Usually provision is there in the idol or we can make the provision for fixing the ear rings. Decorate with crown and then garlands - the garlands rest on the pencil. 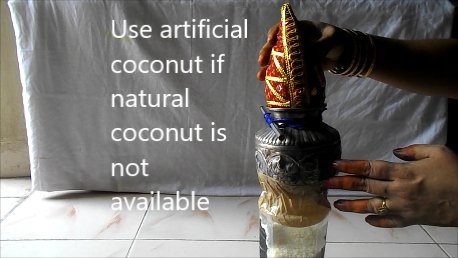 Artificial plaits that are available in the market are decorated with stones and supported using the coconut. 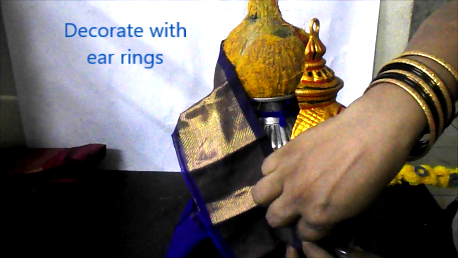 The crown with thick cardboard and kundan stones can be crafted at home or can be purchased from the market. 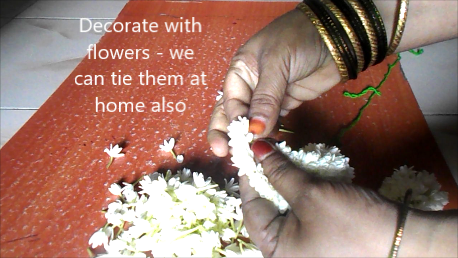 Floral garlands can be purchased or we can make them at home using various methods. I have used the mullai ( a variety of jasmine sometimes called the Arabian Jasmine ) flower and used three at a time, at the top and bottom to get a thick garland. 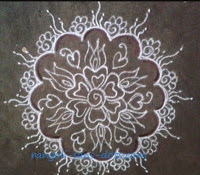 Along with dundu malli we can have artificial garlands and other types of fresh flower garlands using flowers available in the season . 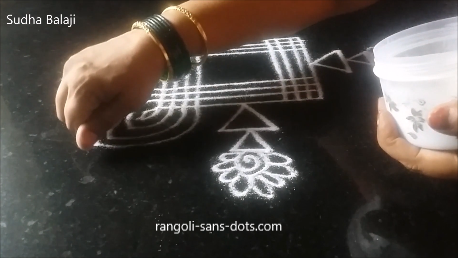 The video below shows how we can make a simple floral decoration instead of artificial plaits for the decoration. This is usually suitable for the kalash because it is made with a craft stick , the length of which is suitable for a kalash. For an idol we should try with two sticks tied together to increase the length. Take craft stick, tie a woolen thread to one end. Place a chrysanthemum flower on the stick , pass the thread around the stick and across the flower and pull the string to hold the flower. Place the next flower above the first and repeat the steps. When we near the other end of the stick tie another knot to hold the flowers together. 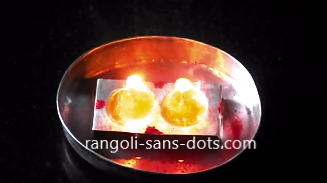 We can stick kundan stones for more decoration. View the video if you still have some doubts. 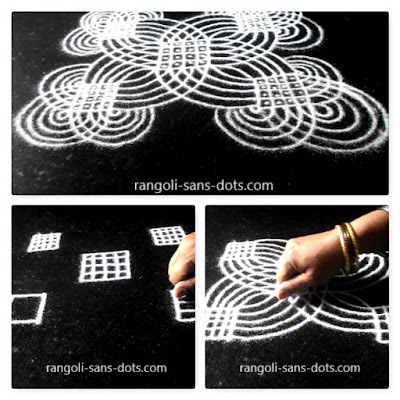 Rangoli is an important part of decoration for any festival , we can have a combination of traditional line rangoli designs and something innovative also like kundan rangoli . The image shows a traditional rangoli with lines , after drawing we can add geru border as we do for festivals. 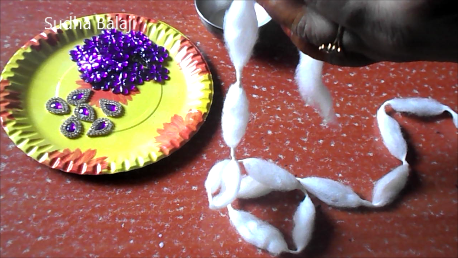 Apart from traditional cotton garland we use for festivals , we can create some gejje vastra designs using our imagination. 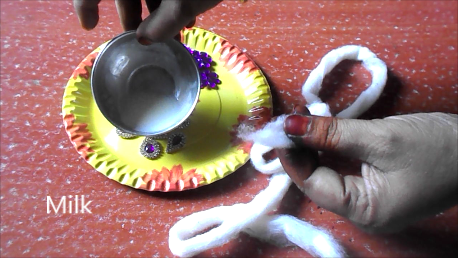 Use milk or water to form cotton ball - we can have eighteen or twenty four depending upon the length we need. 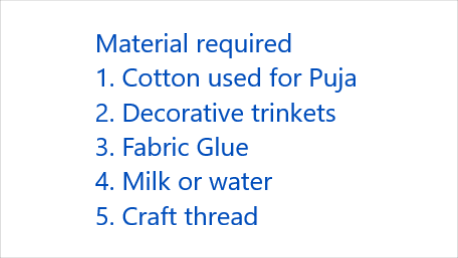 Milk or water allow us to work with cotton easily. 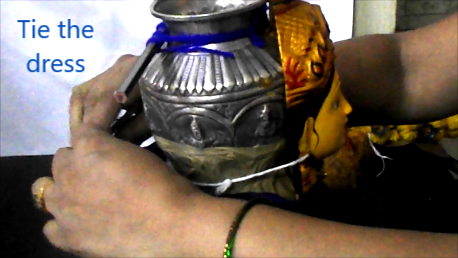 To the two edges are fastened decorative strings so that we can tie the haara to the idol or kalash. 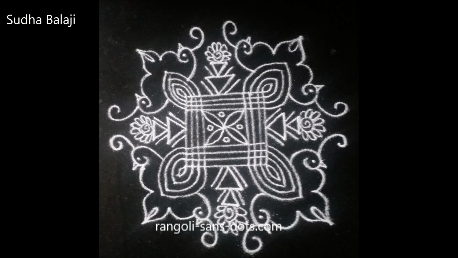 I have added the traditional rangoli with lines for this post. 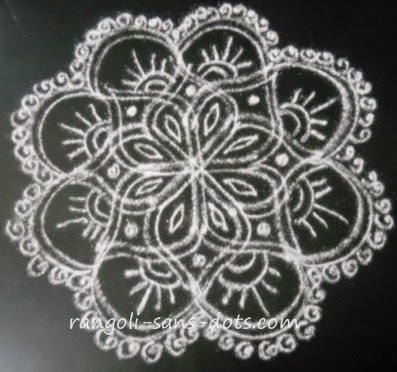 This is a classical padi kolam only so far as the square pattern is concerned. Then I have added free hand patterns on all four sides. If you watch closely you can find birds designs at the four corners each looking cute with a single crown and that is an inspiration from the beautiful bird of paradise.